Here's a little knitting secret that I would like to share. 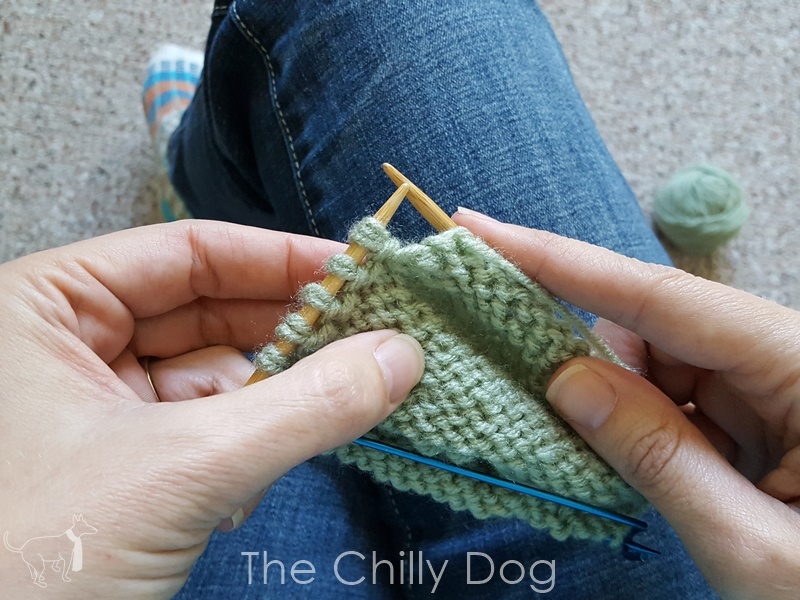 Once you learn how to knit socks using a short row method, you will likely never make heel flaps or afterthought heels again. They look much neater than heel flaps and there is no need to go back and insert the heel after the rest of the sock is made as in afterthought heels. 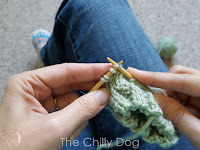 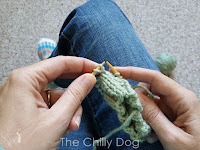 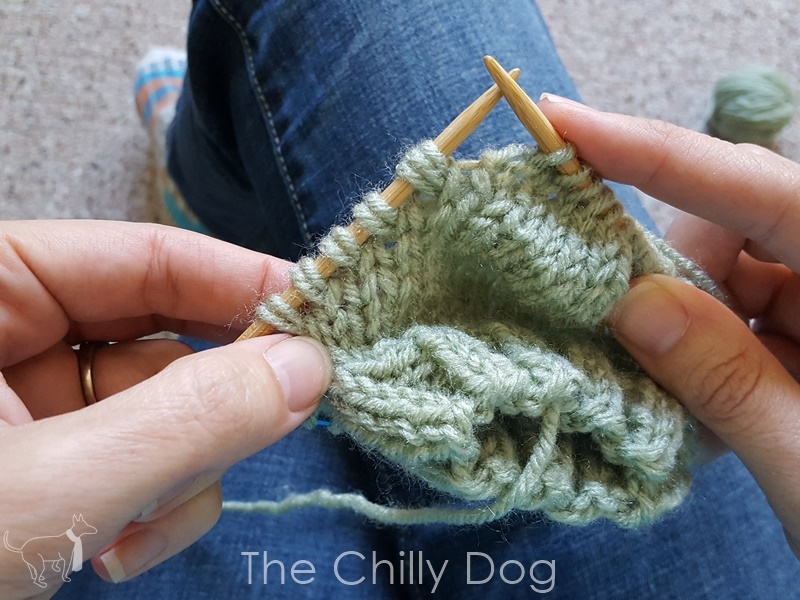 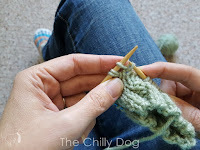 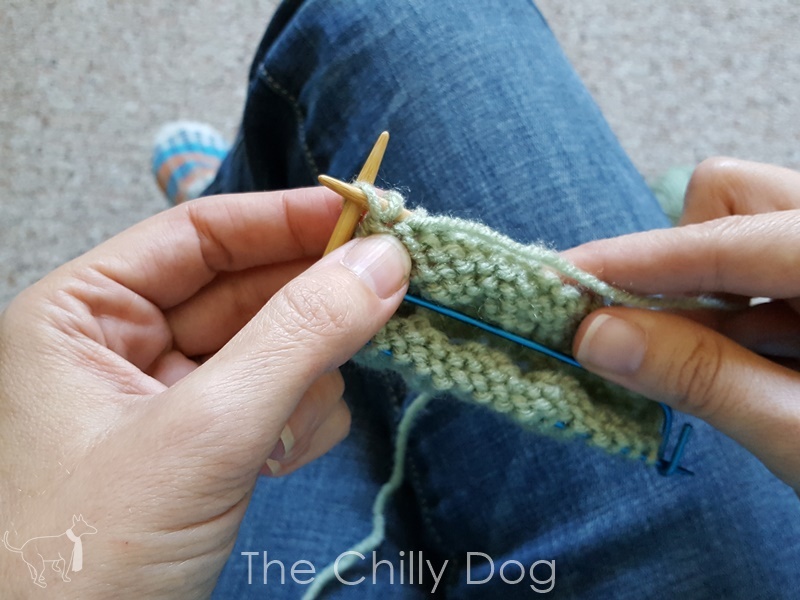 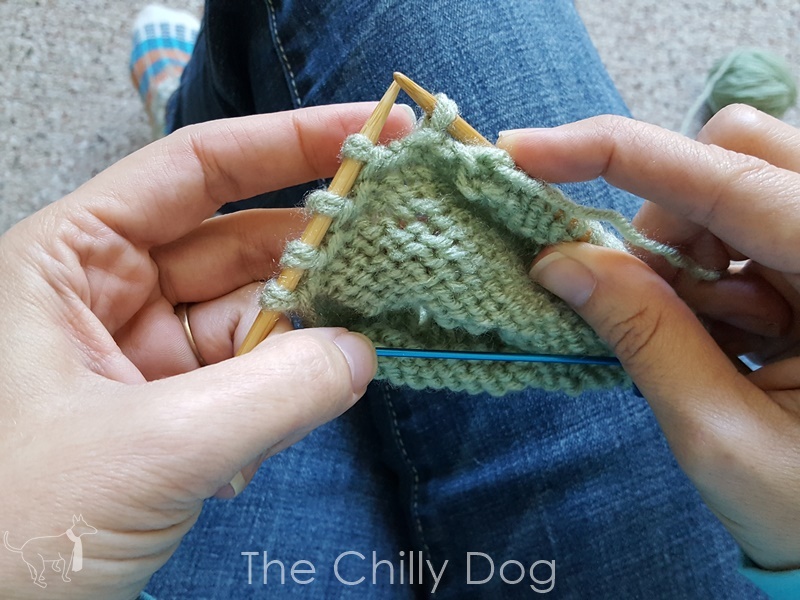 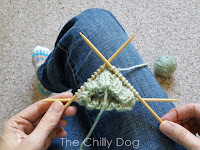 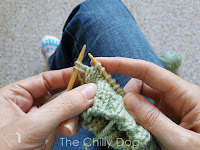 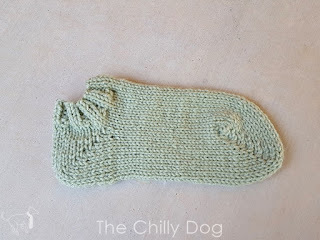 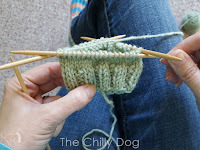 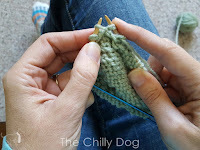 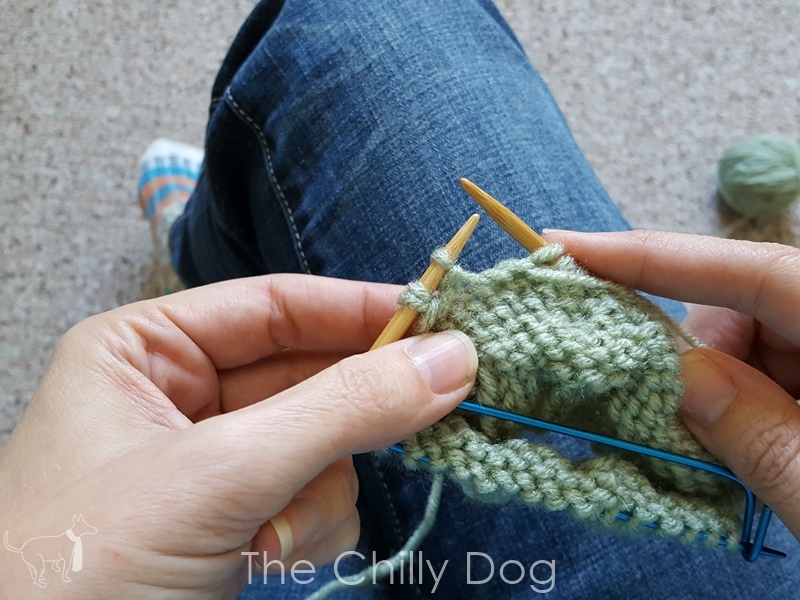 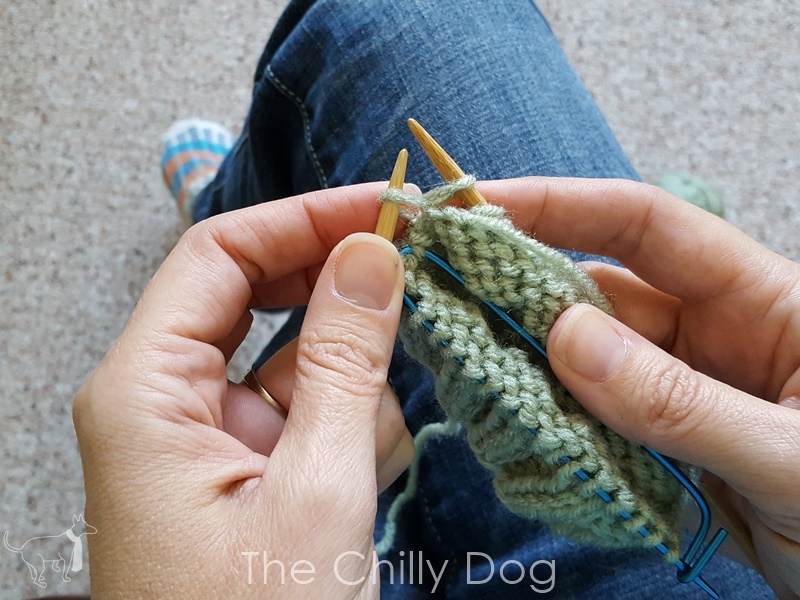 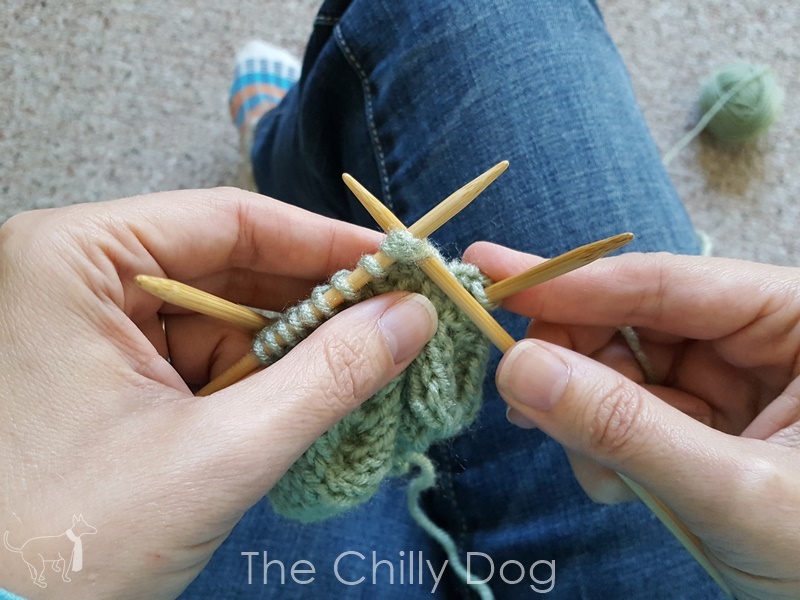 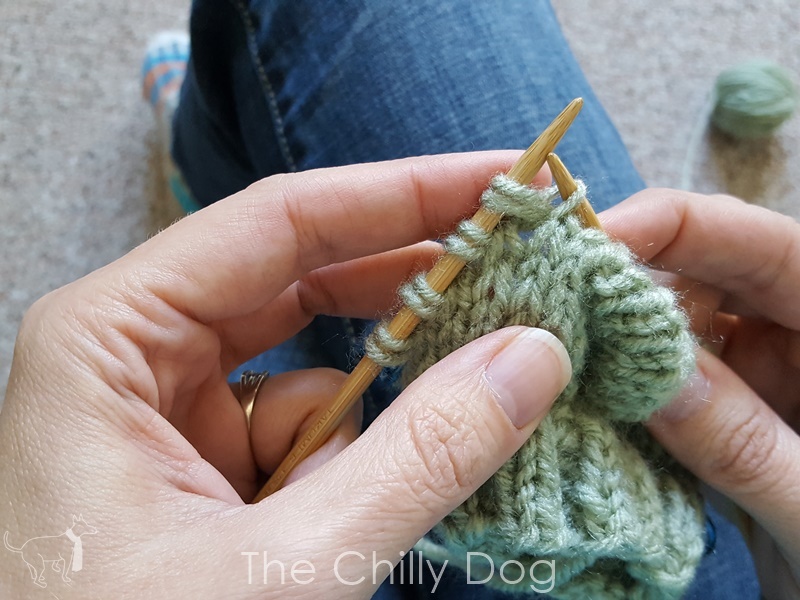 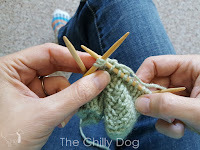 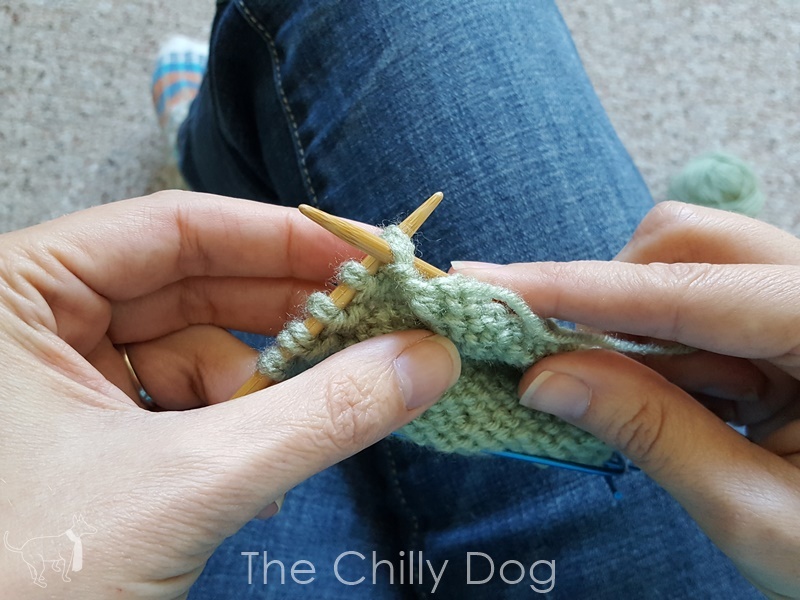 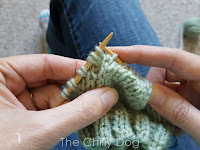 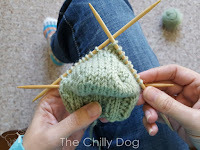 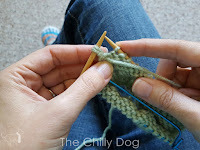 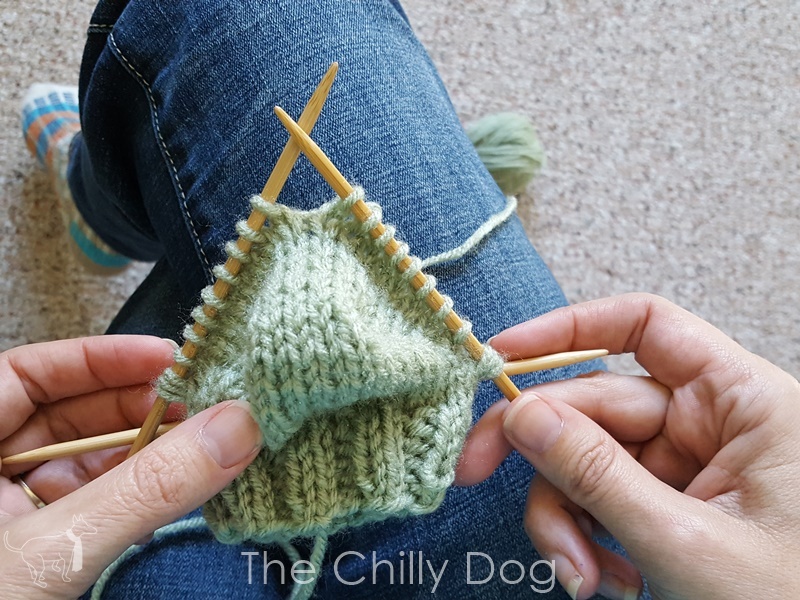 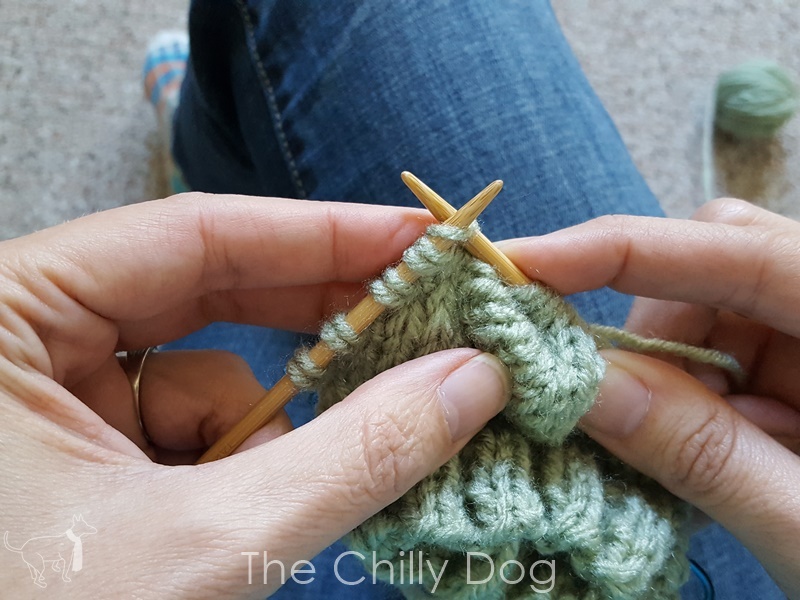 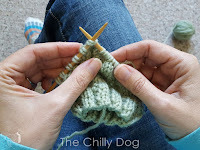 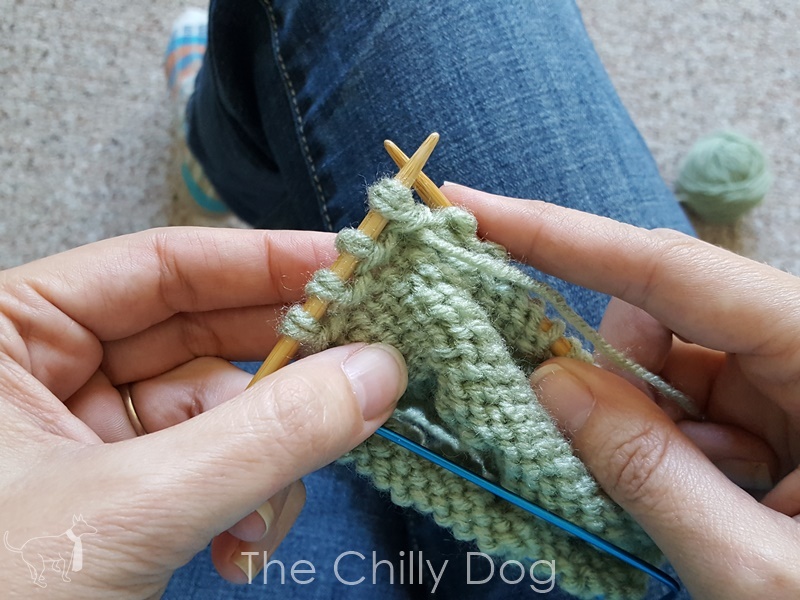 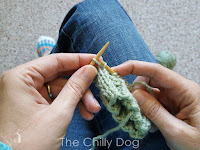 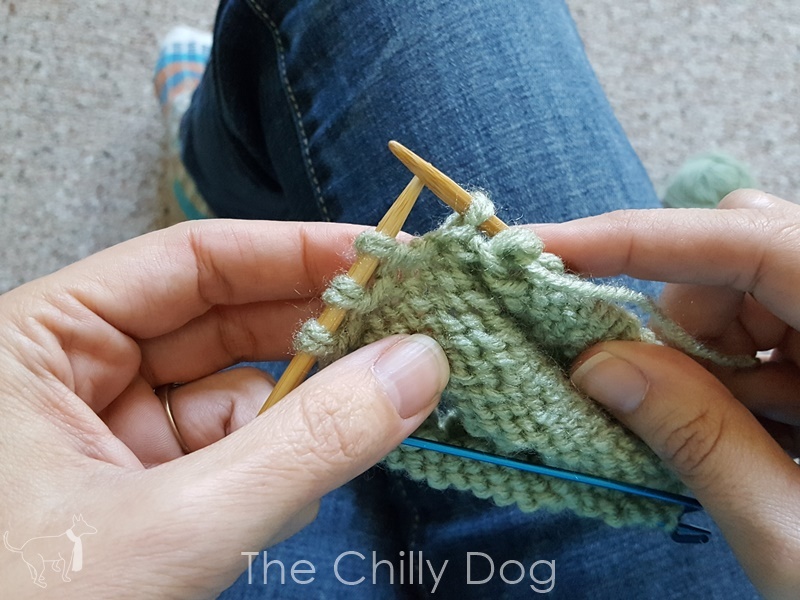 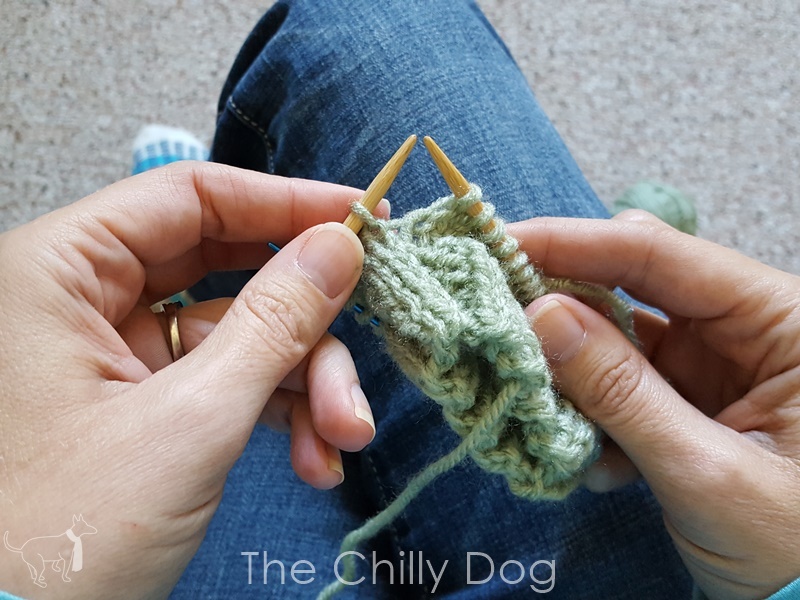 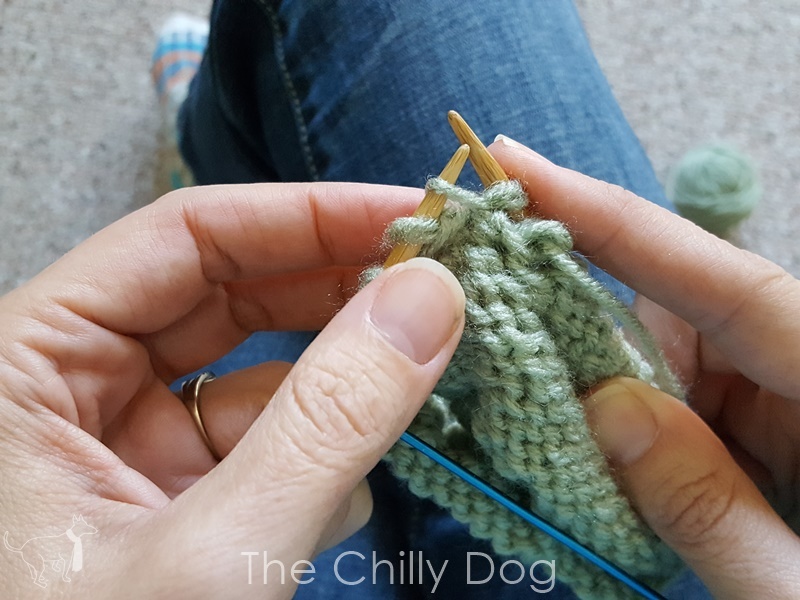 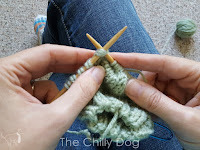 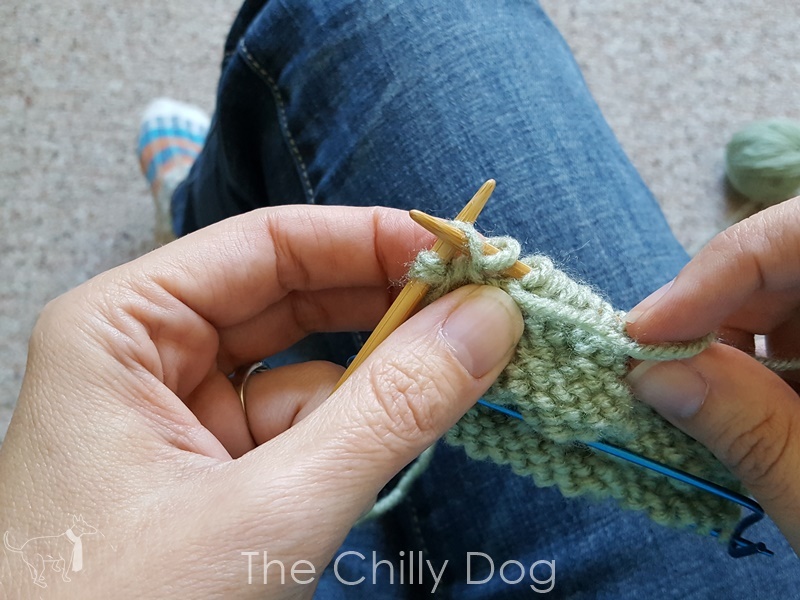 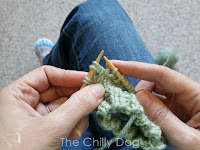 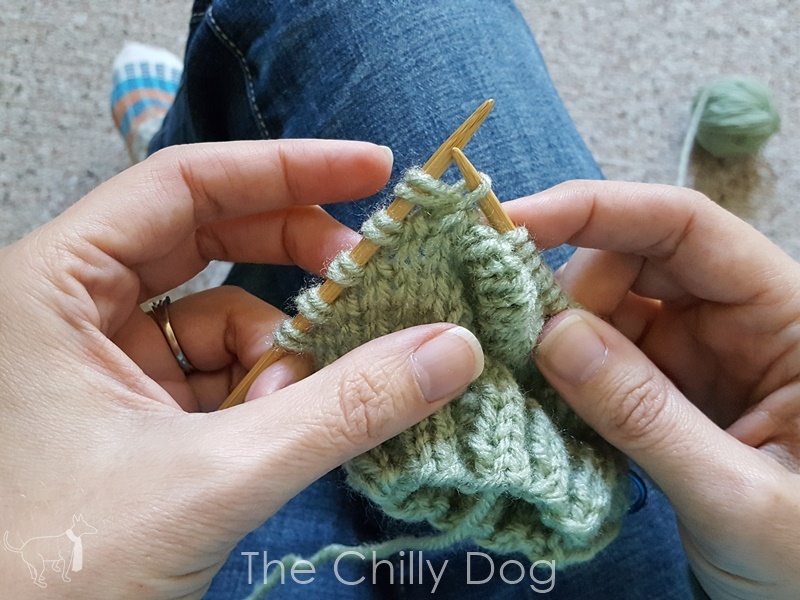 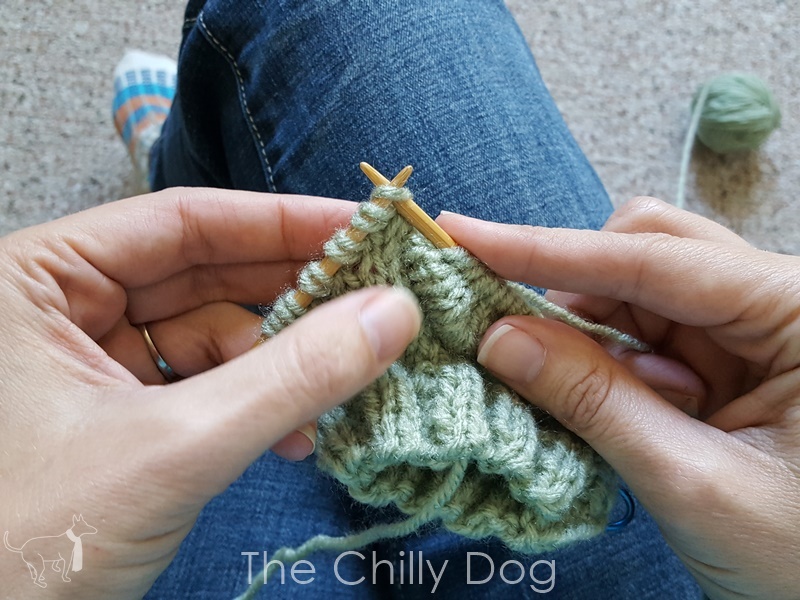 At first, the idea of short rows seems a little mysterious, but in my opinion they are easier and actually speed up the sock knitting process. Today, the final tutorial in the series, the Shadow Wrap technique. 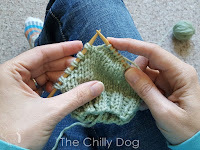 For all short row methods, the heel is worked across half of the sock's stitches. You'll notice my round ends at the center of my heel stitches. 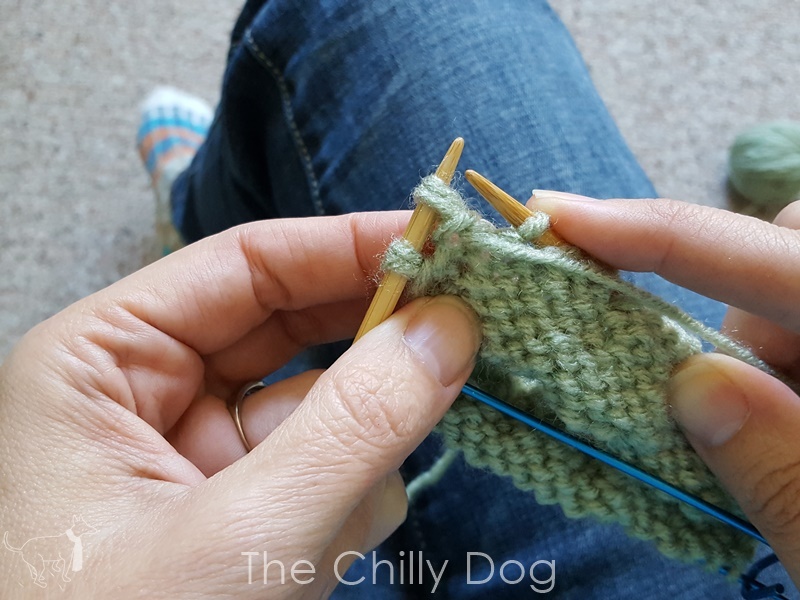 I am going to slip my non-heel stitches onto a stitch holder for demonstration purposes, but normally you can just keep them on a spare dpn. 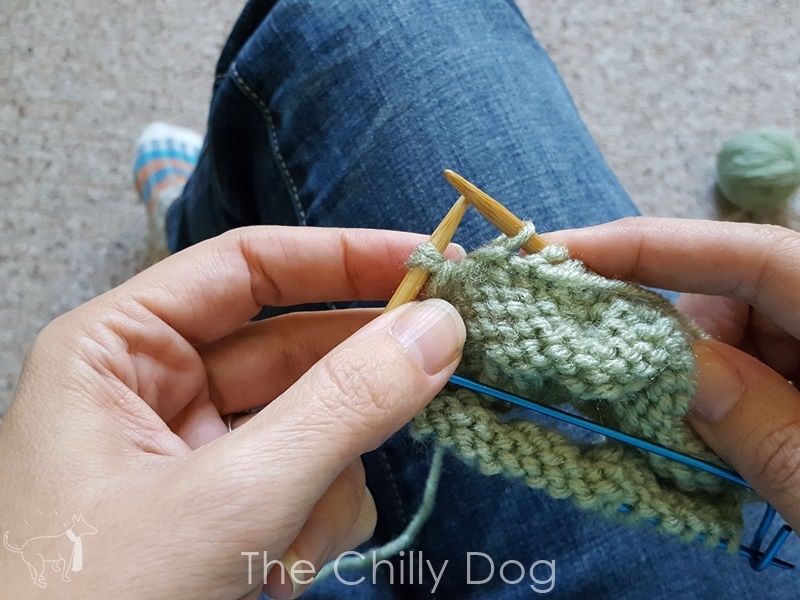 with the right needle, pick up the right leg of the stitch below the remaining stitch. 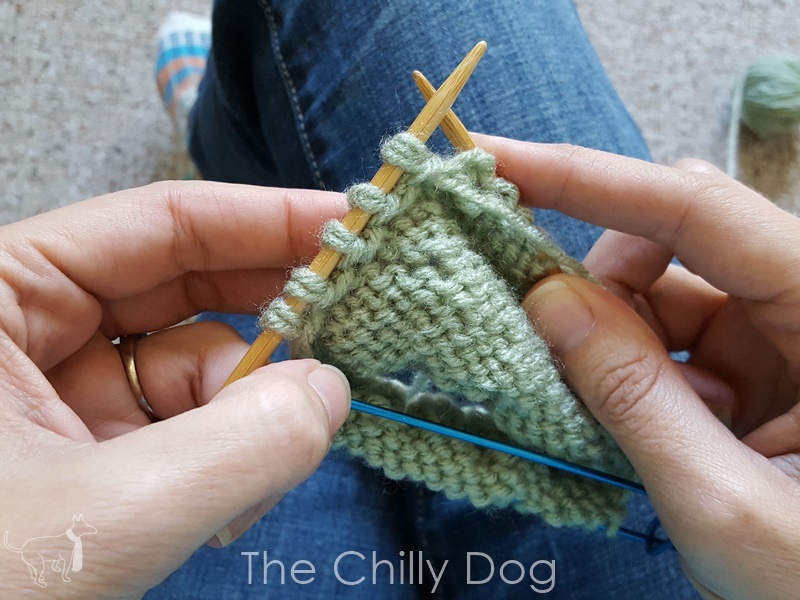 now it looks like there are two stitches coming out of the same knit stitch (sometimes this is called a twin stitch), turn. slip the purled stitch and the slipped stitch from the right needle back to the left, this is another twin stitch, turn. slip the knit stitch from your right needle to your left, it's another twin stitch, turn. 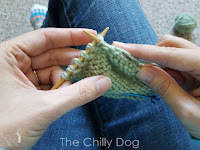 slip both the purl and the slipped stitch from the right needle to the left (another twin stitch), turn. 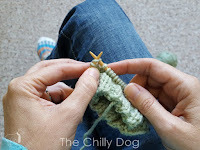 Repeat Row 3-4 for the desired length. 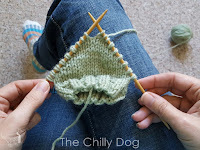 Since Row 1 was a half row, knit to the center of the heel. for my example I have six twin stitches on each side of the heel and six regular stitches at the center of the heel. 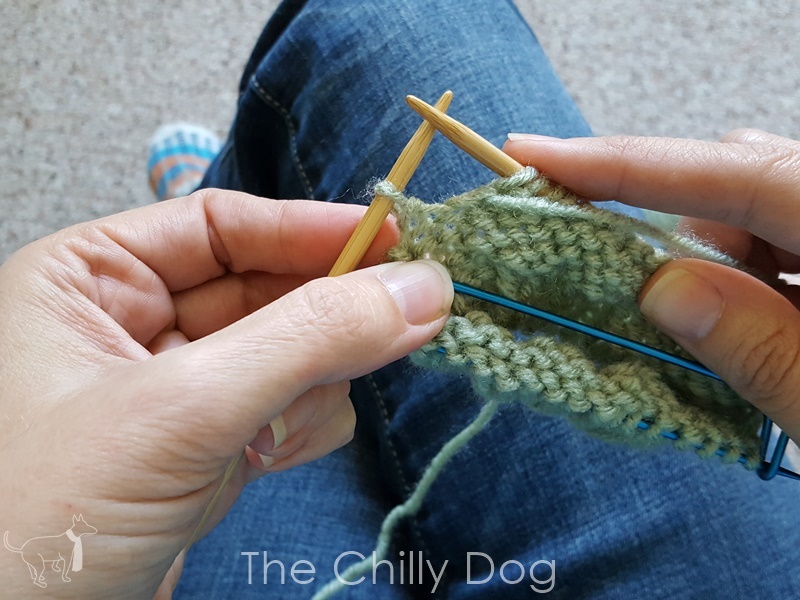 Now it's time to work the other half of the heel. now you have a triplet, turn. 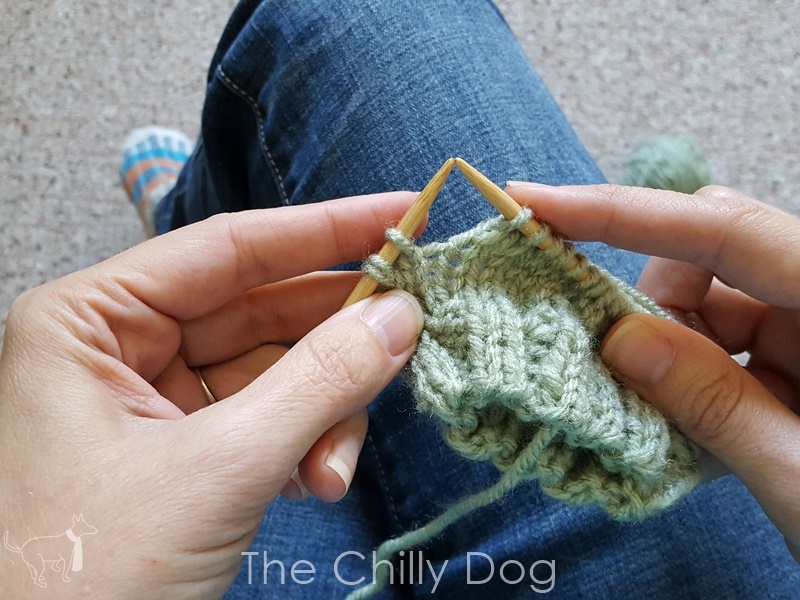 slip the triplet from right to left, turn. slip the knit stitch back to the left needle, turn. 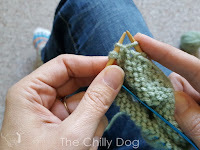 purl the lifted strand and slip the purled stitch and the slipped twin to the left needle, turn. 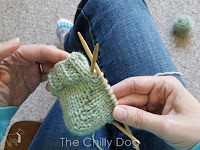 Repeat Row 7-8 until there is one triplet left on each side of the heel. 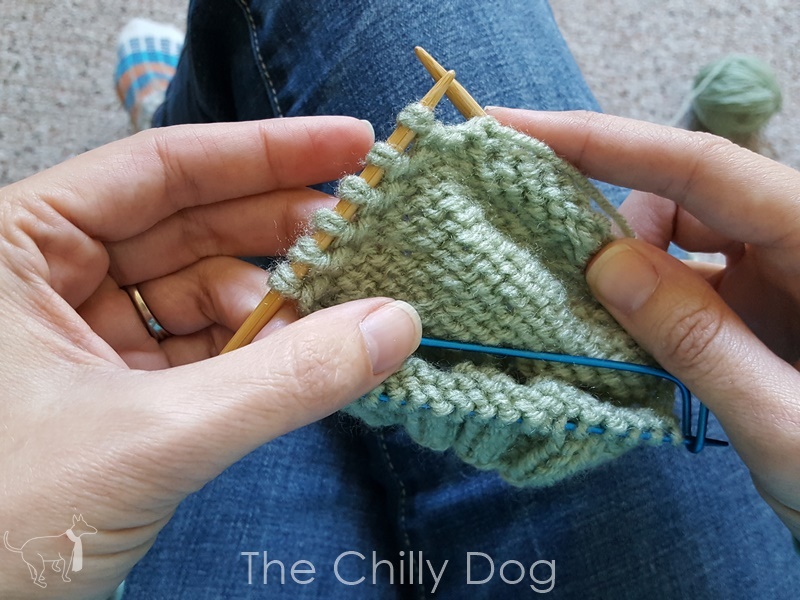 Since Row 5 was only half a row, knit back to the center of the heel. The remainder of the sock is worked in rounds so I moved my held stitches back onto a dpn. 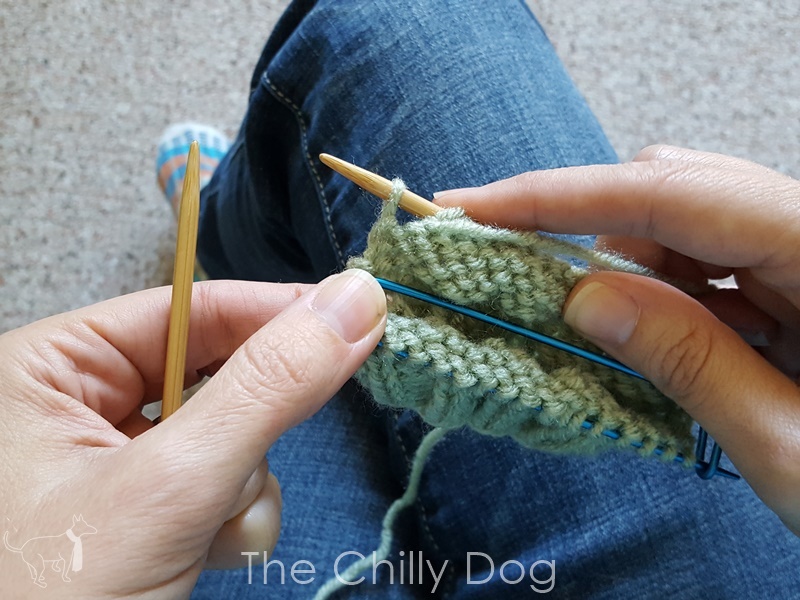 You need to work one final round to finish the heel. knit to the end of the round. 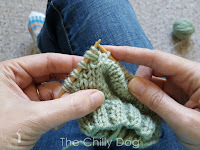 Here's the heel from the side. 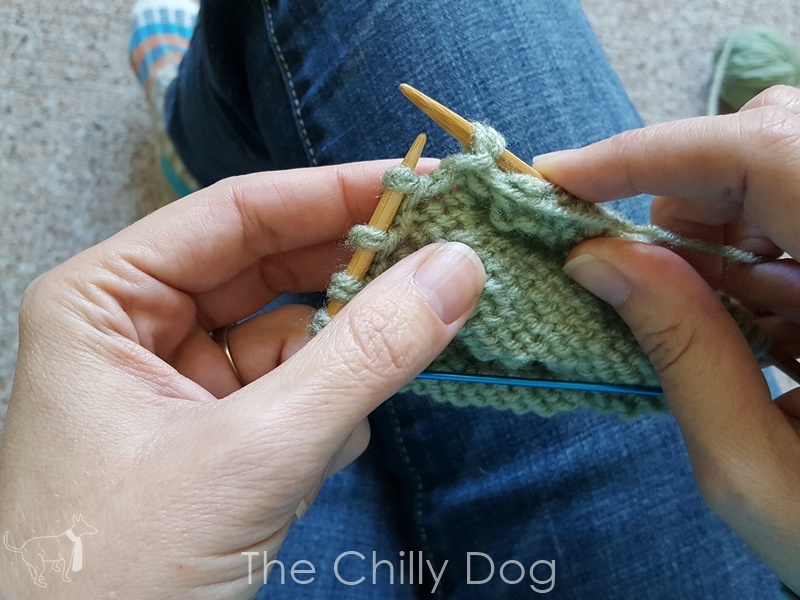 To wrap up my series of short row heel tutorials, in my next post we'll look at all the heels, side by side and I'll tell you which ones are my favorite. Learn how to knit socks using the Shadow Wrap Method of short row heels.